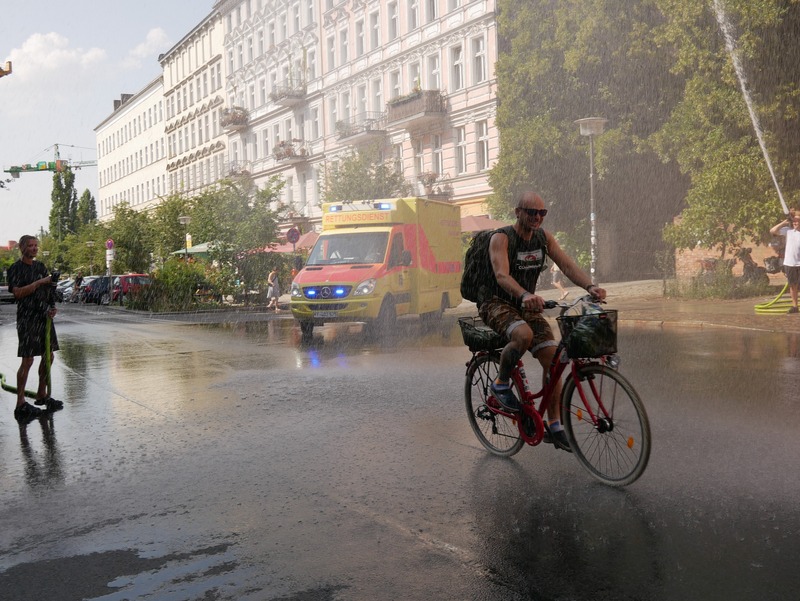 Firefighters blast water in Berlin in mid-August, providing relief from the heat. This is among the few ways to cool off in a city with little air conditioning. Firefighters blast water in Berlin in mid-August, providing relief from the heat. This is among the few ways to cool off in a city with little air-conditioning.